Nintendo claims they’re done with Wii development, but that must pertain only to software if a rumor turns out to be true. Citing retailer lists, Nintendo World Report claims the company is planning on unleashing a Wii Mini console, this as soon as December 7th. 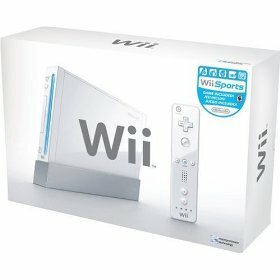 Nintendo dropped the price of the now backwards compatibility infertile Wii to $130 back in October. It would seem that was a move to clear out the older units in anticipation of a newer model. Nintendo World Report didn’t cite a specific retailer or have images. That’s a standard Wii in that image. The move wouldn’t be as odd as it seems. Despite the Wii U sitting in stores, almost every console maker has released a late edition redesign even though the newer hardware is on shelves. From the Genesis, SNES, to the PlayStation2, this is standard stuff. For the Wii though it’s interesting. Nintendo claims to be done, and sales have slipped off. On top of that, similar naming with the Wii U could only bolster consumer confusion.